With this post we are going to cover the basics of Hydroponic Supplies. 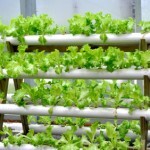 Hydroponic gardening is a type of indoor gardening which does not require soil for plant growth. The results are amazing as it lets you produce healthy vegetables and fruits right indoors. This system works with individual and commercial requirements and most of all it is very affordable. 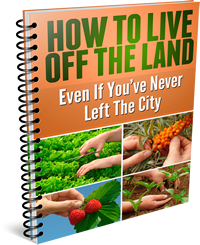 Hydroponic Equipment and Supplies are required to make your hydroponic gardening a success. There is an array of Hydroponic Supplies that all go hand in hand and compliment each other to form a complete system. Light being an essential component in plant growth, you will require grow lights preferably led grow lights since they are environmentally friendly and efficient in usage of energy. These are however pricy but compact fluorescent light also works as well for those on a tight budget. Other types of equally efficient lighting are the HPS, HID and MH grow lights. Choosing the right spectrum is also a key consideration for you to make bearing in mind that for younger plants to grow strong they will require blue spectrum grow lights whereas mature plants require orange or red spectrums to induce fruition or flowering. Falling under the Hydroponic Supplies category, you will need plant nutrients as this is what plants feed on in order to grow. You will need to frequently purchase or stock up on these supplies as they are required on a regular basis. This will be in form of a solution mixed with water. In some plans you will be required to procure pumps that will ensure each plant gets sufficient nutrients in all their lifer cycles. You will require a pump that is reliable and that which fits perfectly to your set up. Also, are the containers chosen judiciously on the basis of the type of plants you are cultivating. You will require smaller trays for small leafy plants such as lettuce and bigger vinyl pots for larger plants. Ph control gadgets will also come in handy in adjusting the acidity levels in your hydroponics system ensuring it remains at normal levels. This will go a long way in ensuring a healthy growth curve for your plants. A simple starter type plan could be found here. A growing medium is also another key requirement for Hydroponic Supplies, as this is what will hold the roots up enabling water and air to flow freely. Other supplies vary with the system with some requiring drip irrigation equipment, nutrient reservoirs, and some requiring aerators that ensure adequate oxygen by keeping the roots exposed. It is also worth noting that systems that are pot based will usually give more quality as it gives you the opportunity to tend to each plant individually but then again that is a personal preference. Drip systems will make your work easier even when your system is not pot based and is generally cheap and very efficient. 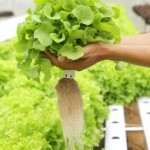 You will also need to wash your Hydroponic Supplies to keep them in top performance. The following steps will guide you through the process. First stop the pump and then drain the entire nutrient reservoir into a container and discharge the solution. With a clean rag wipe clean the grow tray, drain fittings, sprayers and the nutrient reservoir. Refill with clean water your nutrient reservoir and allow settling for an hour uncovered. This will ensure dissipation of all chlorine in the water. To your nutrient reservoir, add hydrogen peroxide at 35% concentration per each gallon of water. Mix, then turn on your pump and leave to run for at least 24 hours. This serves to clean thoroughly the drain fittings, tubing and sprayers and all other parts in the system that usually comes into contact with water. Turn off the pump and then drain and discard the hydrogen peroxide solution. Finally fill the entire nutrient reservoir with clean water and allow it sit for an hour uncovered, then following the manufacturers guidelines add a concentrated nutrient solution and restart the pump. There are several factors to consider while purchasing Hydroponic Supplies such as, the space available in your growing room, especially considering the height of the system, the budget you are working with and the manpower requirement just to name a few. If your growing room is less than 6 feet with regards to height, opt for more compatible systems that will ensure your plants have ample breathing and growing space. With that you will be guaranteed a higher yield especially with proper lighting.